Some sewists want a superior quality sewing machine with simpler functions. 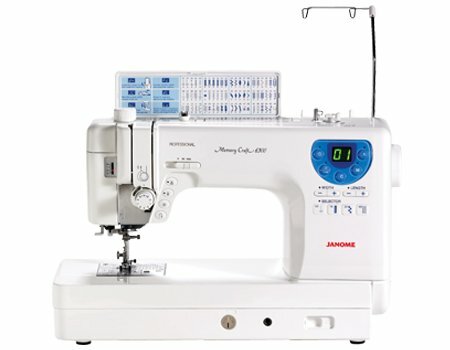 Janome designed the MemoryCraft 6300 just for them. This machine comes with extras like memorized needle up/down, an independent bobbin winder, and a built-in thread cutter, but with fewer decorative stitches and buttonholes than other machines in its class. 60 built-in stitches and 4 buttonholes offer the basics necessary for all types of sewing, and the 9" of sewing space offers ample room for quilting and other large projects.